The Second Grade program meets 3 days a week, Tues/Thurs 9:15-3:15 and Wed 9:15-2:00 pm. You may choose to attend Tues/Thurs only as well. These grades are combined with 3rd for some subjects such as history, science, art, and Spanish; but are separated for language arts and math classes based on their reading level. All students are placed in Math and Phonics/Literature classes based on their reading and math ability level. For other classes, they are grouped with their age level. The science and history in this age level are suitable for more advanced readers as well as emergent readers. This class is designed for average second grade readers. Student should be able to read simple words such as “cat” “dog” and “snack” as listed in the first grade. In addition, students should be able to read and decode more complicated words such as silent e words, multi-syllable words, and some “vowel team” words including words ending in y, suffix –ed, and others. Students will be evaluated the first week of class to determine reading placement. We’ll start the year with classic stories such as Little Bear and The Velveteen Rabbit. Second Grade students will also begin reading longer and more challenging works including the Magic Tree house series, Jenny and the Cat Club, My Father’s Dragon, Junie B Jones, Flat Stanley, and other favorites. Our core workbook will be the Saxon math, but we supplement with other curricula. Students will be working on borrowing and carrying as well as beginning multiplication in the 2nd grade curriculum as well as other areas of study. We utilize both Math Centers with manipulatives and traditional worksheets. Chemistry can be defined as the study of matter and energy and the interactions between them. 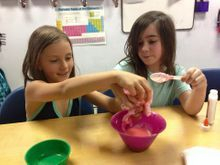 In this class, children will learn important facts about the universe through exploration, experimentation, and fun! We will begin with an overview of fundamentals such as molecules and atoms and the phases of matter. Once these basics are covered, we'll explore different topics each week through fun and hands-on experiments. 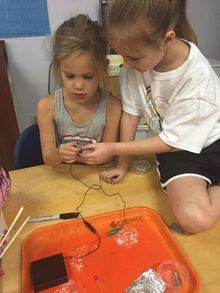 Children will be encouraged to make hypothesis based on what they have learned. 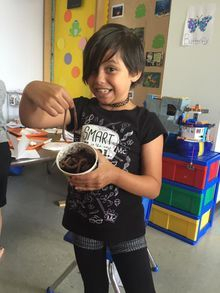 Young archaeologists will uncover clues as to what life was like in Ancient Mesopotamia through hands-on activities including making bricks for our city, writing on clay tablets, and making up hero stories inspired by Gilgamesh. Next, children move on to Egypt where they will write in hieroglyphics, mummify a Barbie doll, play ancient games, build a model pyramid and more. Finally we will study life in Ancient Greece and Rome. Hands-on activities including model making and crafts will be used as well as some cooperative group activities, research, and presentation. Weekly assignments and projects will be assigned. This class will include study of classic Greek and Roman literature.